Chief Solano Kennel Club welcomes you! Thanks to all of our Exhibitors, Spectators, Judges and Stewards for helping to make our show great!!! We hope to see you next year. A special Thank You to all the Chief Solano Club Members and Volunteers who worked so hard to put on this amazing show! 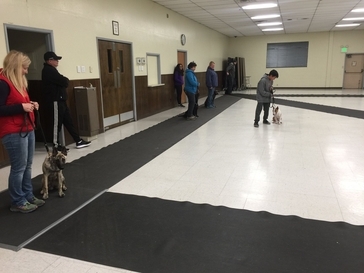 Our next series of puppy socialization and beginning obedience classes started on Wednesday April 17th. If you missed it you can still start with this weeks class. Just fill out the registration form and bring it with you. If you and your dog have been to our classes before you can attend come to any of our classes as a drop in. Please fill out the registration form and bring it with you. is the only American Kennel Club (AKC®) licensed all breed club in Solano County. Membership is open to all persons 18-years of age and older who will subscribe to the purposes of the Club and pays nominal annual membership dues. We also have a Junior Membership for those who are under the age of 18. There are not any dues for Junior Members. By belonging to CSKC and actively participating in its many activities, you will become a more knowledgeable and responsible dog owner and thus further the sport of all dogs. 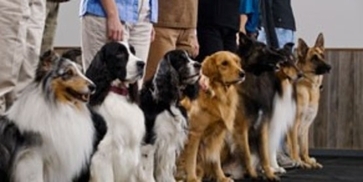 We also offer Beginning Obedience classes and Puppy Socialization classes. Conformation classes are also offered on a drop in basis. Please see our 'Class Schedule' for details. Some of our members belong to individual breed clubs, and are actively involved in AKC® field, tracking, agility, conformation, obedience, earth dog trials, and Rally Obedience, as well as other non-AKC® dog activities such as canine freestyle, and therapy dog activities. Did you know that the AKC® has opened companion events such as obedience, rally obedience and agility to the "All-American Breed"? This includes all mixed breeds dogs excluding any wolf, coyote or fox hybrid.